Do you love drinking cappuccino? If you do, you are not alone. There are many people who also consider it as their default caffeine fix. The combination of espresso and milk makes it taste nicer than just a standard coffee. This is especially the case for people who do not appreciate the bitterness that is distinct to coffee. If you love this drink, do you know how much caffeine in cappuccino? If you have no idea, there is no reason to be ashamed. You are not alone. There are many other people who are clueless about the caffeine content of their favorite drinks. With this, keep on reading and we will help you to be informed. 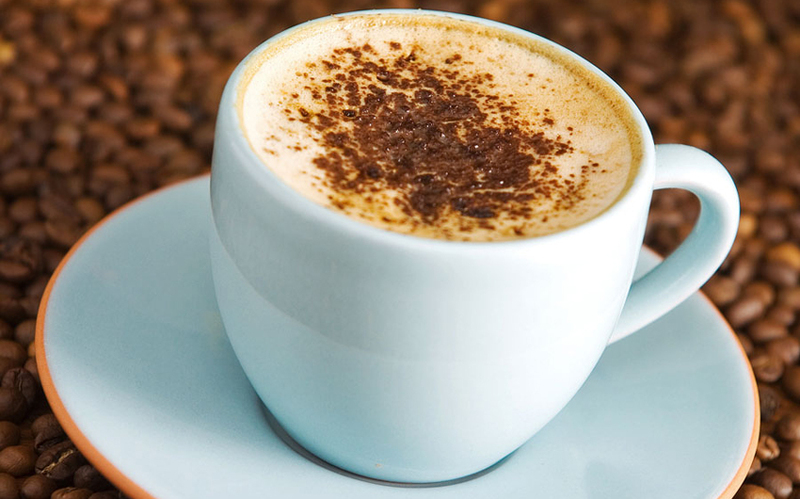 Generally speaking, in one cup of cappuccino, which has a size pf 12 fluid ounces, there is 154 milligrams of caffeine. This is assuming that there are two shots of espresso that are used. On the other hand, if a single shot is used, there is only 77 milligrams of caffeine. Meanwhile, if you prefer it really strong and you add three shots of cappuccino, the caffeine content will be 231 milligrams. Keep in mind that the figures above are just for point of references. It is impossible to assume that every cappuccino that you will be drinking will have the same level of caffeine in it. There are factors that can lead into differences, such as the specific brand or the store where you will be having your drink. The method of preparation and brewing time, among other factors, will also have significant impact. Why are people asking about how much caffeine in cappuccino? Can’t they just enjoy the drink? Well, apparently, there is a reason why there are people who are curious about caffeine in their cappuccino, or in any other kinds of drink as well. This is basically because of caffeine overdose. For healthy adults, it would be best to limit caffeine intake to 300 to 400 milligrams per day. On the other hand, for women who are pregnant, it should not be more than 200 milligrams. If you go beyond such, there are dangers that are associated. If you have a lot of cappuccino or caffeine in general, there are side effects that could negatively impact your health, many of which can be instantly felt. Some of the most common would include insomnia, sleeplessness, nervousness, palpitations, irritability, upset stomach, dizziness, and muscle tremors. If you have two cups of cappuccino in a row and there are at least two shots of espresso in each, you might immediately feel the effects. The dangers of espresso are even more serious in the case of pregnant women. Several studies in the past have noted that caffeine will not only affect the mother but also the baby. Once it gets into the blood, both the mother and the child will be affected. It can result into having a baby smaller than gestational age. In addition, there have also been some reports that it is associated with miscarriage. Further research is warranted in order to prove the latter. It always pay to be safe, so stay away from too much caffeine. Now that you know how much caffeine in cappuccino and how it affects your health, you might have initial thoughts of finally letting go of it from your habit. However, keep in mind that it is not easy. Caffeine can be comparable to nicotine. They are both addicting. No matter how much you try to get rid of it, chances are, your body will be craving for it. If you instantly just take it out of your life, there are withdrawal symptoms that can be apparent. Your body might not be used to not having caffeine. You will experience headache and tiredness. In some cases, you will also find it hard to concentrate, especially because caffeine has always been linked to increased mental alertness. With the withdrawal symptoms that can be apparent, there is one key takeaway – you cannot just get rid of caffeine in an instant. You cannot just wake up one day and pretend that you do not need caffeine. It will haunt you. You will be up for a big challenge. The good news is that caffeine does not necessarily have to be eliminated. You can still enjoy cappuccino and other caffeinated drinks. The key here is to enjoy it in moderation. Three cups of cappuccino in a day with a single shot of espresso should be your limit. This should be lesser if you drink other caffeinated beverages, such as brewed coffee. Also, take note that caffeine is also present in soda and energy drinks.